Who am I, and what do I have to share with you today, you ask? 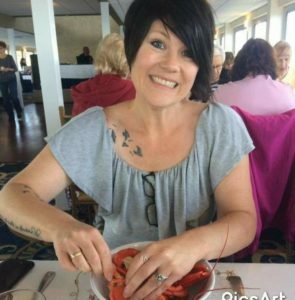 I’m Trinda, a displaced Canadian now living in the USA, mommy of two grown girls and owner of Dearly Distressed. 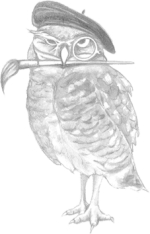 I’m pumped to be the Wise Owl guest blogger, since I have never blogged before in my life. You guys are my first audience in a blog setting. What I want to share with you today are my favorite products. Part 2 will be on Pro tips and Tricks with guest contributors (that I’m sure some of you may recognize). This will be a two part series, as there are SOOOO MANY things I want to mention. I don’t want to overwhelm and lose you guys! Stay with me here…trust me, this gets better. Whether you are just starting out, have possibly hit a plateau or are an old hand in painting furniture, I’m hoping you find this information helpful. I know, some days I get brain farts and need to Google or ask my awesome members their opinions on application techniques or even what their favorite sealer is, because my arm is killing me from waxing… I hate waxing…I still use it sometimes, but I prefer an easier application for sealing. I’ve tried nearly every brand of boutique paint/wax/sealers/brushes from the cheapest to the most expensive. I have my personal favorites and plan on sharing some of those today as well. Those of you that do know me (hiiii!! ), know that I am direct and to the point…I don’t sugar coat things, and I don’t care if I hurt some feelings along the way with my honest feedback. I’m also known for my passion and to get you, the reader, the best possible product out there. Whether it be for easiest application, best durability, coverage, or even to save you a few bucks! I know I know, we all want to save money….and many think all brushes are the same, or even that in the end you will have the same outcome no matter which you choose. Sorry, this is a BIG FALSE. No, No, No….. Not all brushes are created equal. How do I know? Because, I thought the same thing when I started out…No way was I paying 45 bucks for a “you know who’s” Paint brush…yea, not happening, so I went to the hardware shop and grabbed a nice angled brush, paid a whole 5.99 for that baby. I was pretty impressed with my purchase, and thought, gee, this works pretty good! Yea……it worked “pretty good” with my homemade chalky paint recipe….. But then I moved on to “boutique” brands, and realized, it was “ok” but maybe this is why people rave about the “real” chalky paint brushes when using chalky type paints. So, I went all out and bought a “real” chalk type paint brush, natural bristles….. It was awkward at first then I got the hang of it……but noticed it was leaving grooves in my paint, and within months my bristles got so short, the paint wasn’t flowing well either. 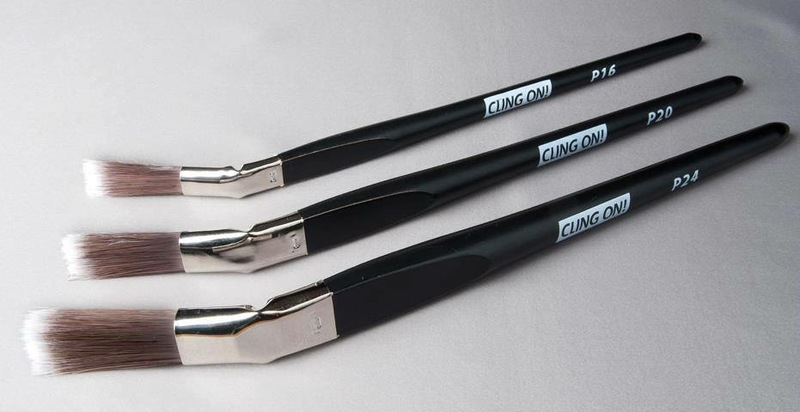 Karen Chouinard tried convincing me I’d love the Cling On brushes….but I’m stubborn, and said, I’d hate it because of the long handles and god forbid I try something a retailer was “pushing” on me…but….a year later I tried my first Cling On after giving up hope I’d ever find a brush I LOVED, enough to start telling everyone how great they were…. Seriously…Cling On all the way people. It’s a synthetic bristle brush made in the Netherlands, employing people with disabilities (bonus)They are AFREAKINMAZING. When bought from Wise Owl you’re guaranteed quality and awesome customer service to boot! My personal favorite is the F40…why? Because I come from a family of painters…wall painters that is. So I am used to the flat brush. 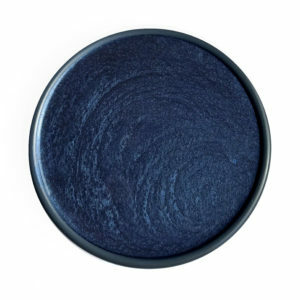 Their biggest seller WAS the O40, til their new Matte Varnish arrived on the shelves (more about that in a few minutes) now my favorite has hit the top of the sales chart! On top of being the best dang brush out there….you won’t break the bank either, super affordable starting at $18.50. Remember, you’re only as good as the tools you use, people, don’t be afraid to invest in the best!!! Did I mention they even have these funny looking angled brushes for hard to reach areas? Let’s talk about Non-wax SEALERS for your chalk style paint. Did you know Wise Owl now carries a water based Matte Varnish? 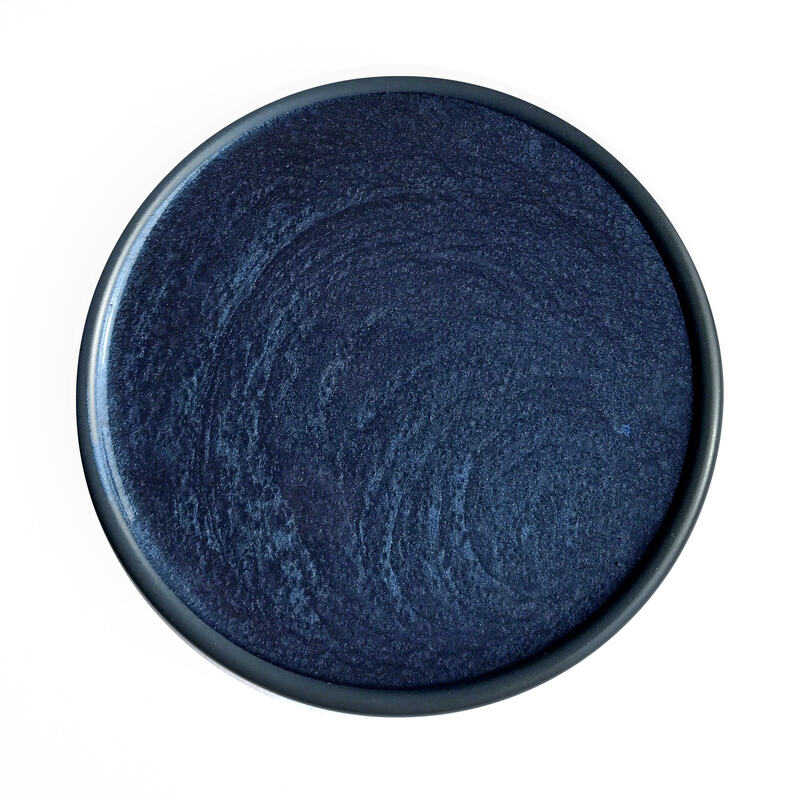 It’s Matte.…but not completely Matte, it does have a subtle sheen to it. Why? Because. It saves the ol arm from waxing a whole piece, and goes on great with the F50 Cling On!!! Ohhh yea, sooo smooth baby!! This stuff goes on crystal clear people! I hear word on the street is they are coming out with a Satin version too! Guess what I just found out? I tried using this as a decoupage medium, yes I said it, it’s officially a universal product and it works!!! So not only are you getting a crystal clear sealer, but a decoupage medium (and I’ll be testing out it’s transferring abilities soon), for the price of ONE product! Pics and more chat about this in part 2, so stay tuned for this! What can I say….I hate waxing…like seriously hate it. BUT….. 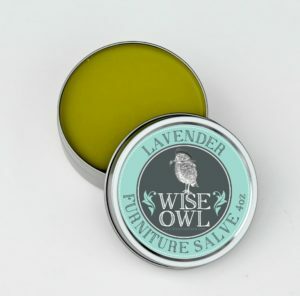 If I have to, my new favorite is Wise Owl’s Lemon Verbena Furniture Salve (most popular scent)this stuff is THE BOMBDIGGITY of universal use “wax”. ***update I now know how they made this! So, Karen sent me some as soon as they made the first batch to try out…It sat in my workshop for at least a month, because it was friggin wax…..and I was thinking, I’ll never use this stuff. But one day I did an antique shelf in Antique Villa, heavily distressed, and thought, here’s an opportunity to try this stuff out. Well I opened that can up and it was love at first smell…I dipped my rag in there and started to wipe it on the shelf and thought, Hmmm, ok, this goes on nicely, smells good, easy to work with, smooth as buttah! I started using the Furniture Salve on EVERYTHING after that day. It revives dried out leather, just like the Wise Owl Hemp Oil will, but the salve smells so good and buffs so nicely on the leather. I’ve also used it over old lackluster metal to give it a new look and just buffed it off. ( BTW, you don’t need to Buff as vigorously as you do with regular waxes, another bonus). 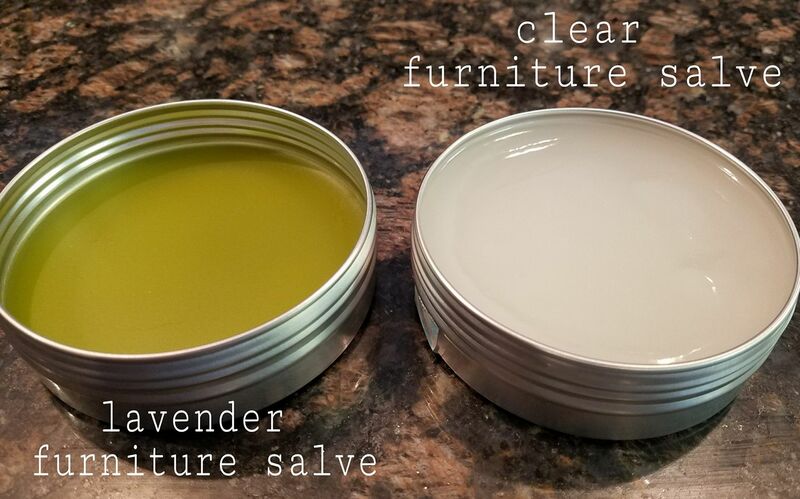 The Furniture Salve gives just as much protection as any other wax would, so no worries on losing the durability for the versatility here! 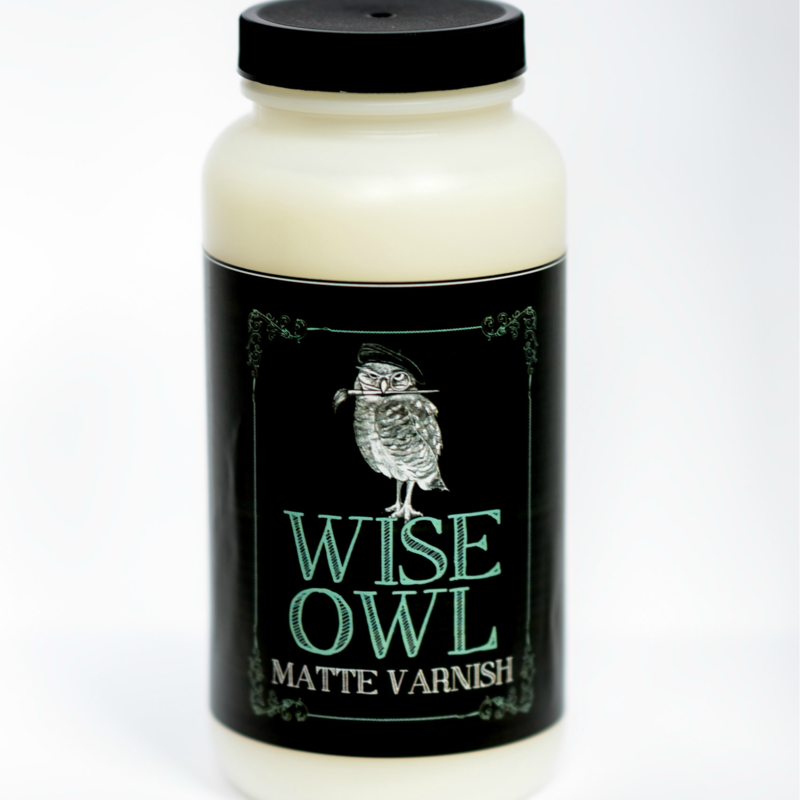 Also, just so you know….Wise Owl also makes this Salve in CLEAR!! So there’s a Lemon Verbena, a Lavender and a Clear/no scent. The clear is ideal for food grade surfaces like cutting boards unless you want your cutting boards to smell like lemon verbena, then have at it. 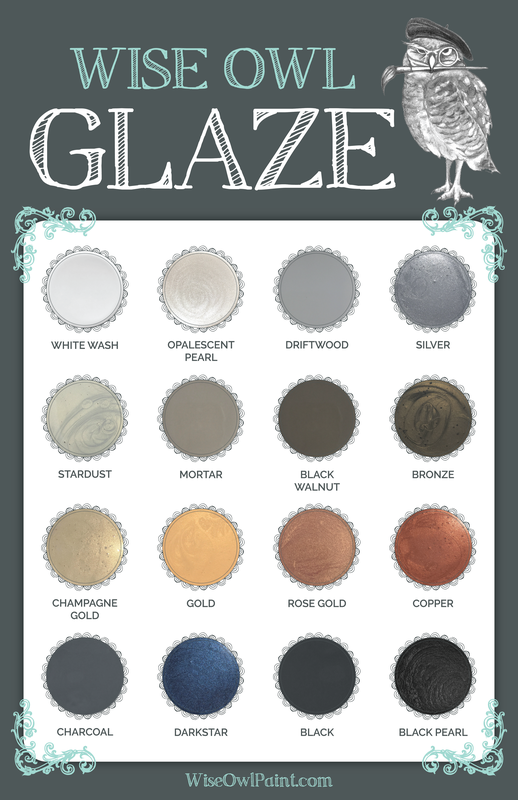 Most everyone I know or hear from have at one time or another been afraid of Glazing…some of you may still be… There’s a neat trick to applying glazes that we will touch in the tips and tricks section of part II so stay tuned! Sometimes when you paint furniture or anything with nice details, you just know it needs more depth or it’s missing that ” je ne sais quoi?”. This is when Glaze comes into play. 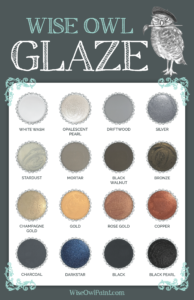 Whether you’re adventurous or like to stay in your comfort zone, you’ll find a Glaze color with Wise Owl’s HUGE selection of glazes. Wise Owl Black Walnut Glaze is their biggest seller, quickly followed by Dark Star (makes me think of Star Wars), one of their newest colors. But if you’re the adventurous type then you’ll be surprised to see they offer 16 , yea I know….16 colors, in which 10 are metallic. Considering how far a can of glaze goes, you really can’t go wrong with their pricing either. So Wise Owl, hands down has the biggest and colorful selection out there. Get ready to get your credit cards out people, you won’t be able to stop at just one color! What is the big deal about Wise Owl’s hemp seed oil?